Last year the Office of Road and Rail (ORR) commissioned us to explore customers’ experience of Passenger Assist, a service that allows passengers to request assistance from booking through to completing their journey. We also carried out depth interviews with front-line staff and industry leaders, providing ORR with a holistic understanding of service delivery. 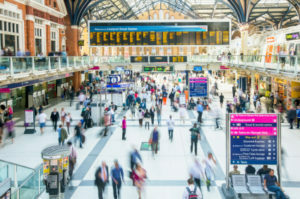 The ORR has just published proposals for improvements to the service, many of which are designed to address issues raised in the research including: ensuring more consistent delivery, better communications with customers and improved training for staff (especially in supporting passengers with hidden disabilities). It’s great to see our research contributing to making the railway more accessible for all! Want better answers to your own questions? Whether your customers are consumers or businesses; in Mongolia or Mexico; Panama or Pakistan, we build understanding of their wants and needs, their pain-points, and those little things that would make all the difference. Talk to us about your trickiest business challenges. We’ll help you address them with the very best global market research and insights.